Simulated stippling on the grip. 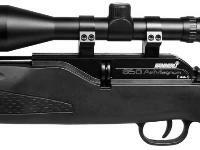 German quality and loaded with features, the Hammerli 850 AirMagnum is so much fun to shoot that you'll have a hard time putting it down. 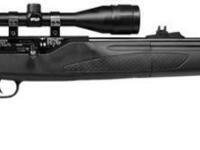 This great combo comes with a compensator and a MOUNTED Walther 6x42mm scope (non-illuminated). Front sight is removed to accommodate the compensator. Let's start with the all-weather stock. 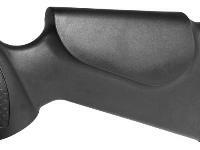 You can take this gun anywhere and not worry about a fragile finish, because it's made from a durable polymer. It's ambidextrous, too, with a raised cheekpiece on both sides of the Monte Carlo stock! 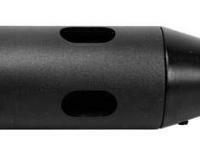 This CO2 rifle uses an 88-gram AirSource cartridge, giving you up to 200 shots before you have to change cartridges. 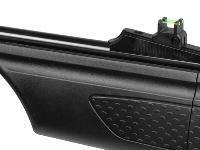 Although the rifle comes with a scope, you can always remove it and use the installed fiber-optic sights (you'll have to remove the compensator to reattach the front sight). The checkering on the pistol grip and forearm will help you get a good grip while you plow shot after shot from this 8-shot repeater. This gun is everything you ever hoped for in a CO2 repeater! 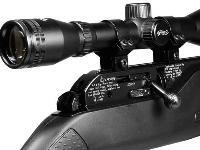 This combo includes a replacement rotary clip, Walther 6x42 rifle scope and compensator. 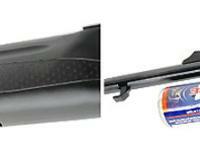 We've recommended some pellets to help you get the most from this airgun. Check out the AMMO link. Remember to click on the ACCESSORIES link to get extra magazines, AirSource cartridges and other shooting gear. Things I liked: Well built gun that feels good in the hand. The scope was almost right on out of the box. Fun gun to shoot. Things I would have changed: Have a manual safety. The automatic safety is annoying and not needed. What others should know: Fun gun that is well built and is accurate out of the box. 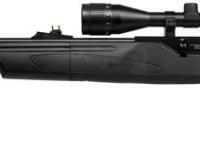 Things I liked: This is an awesome pellet rifle. I couldn't be any happier with the initial out-of-box experience. The accuracy is freakin' sweet, it only took me 3 shots to set up the scope and I spent the next 2 hours wondering why I didn't buy this before. Things I would have changed: The stock has a cheaper feel, I may look to an upgrade, but it works as-is. 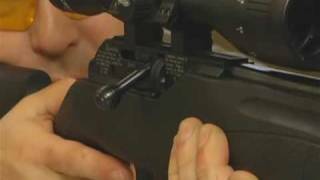 What others should know: The bolt was stiff for about the first hundred shots and it jammed a few times, but the pure satisfaction of the shots is great. I am going out tomorrow for the second taste. Things I liked: Bolt action is real crisp. 8 round clip is a real plus. Scope is nice, but wish i had opted for something a little more adjustable. Things I would have changed: The fit and finish around the Co2 cover is a little loose. What others should know: Well worth the money. Very accurate right of the box. Nice gun!